Worry is a cognitive process that can be useful when it results in taking action, but excessive worry about hypothetical situations can result in unnecessary anxiety. 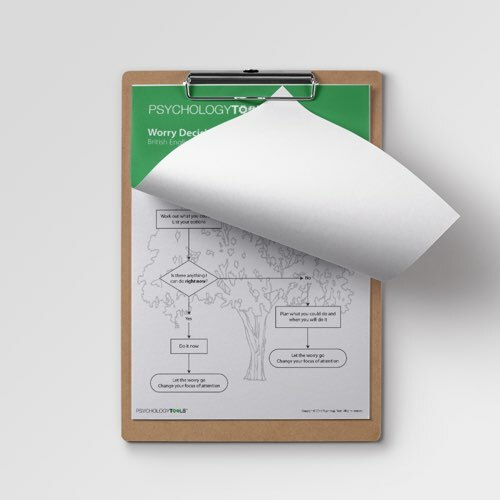 The Worry Tree is adapted from a tool developed by Butler & Hope (1995) and is designed to help clients process their worries by making decisions on where to focus their attention. 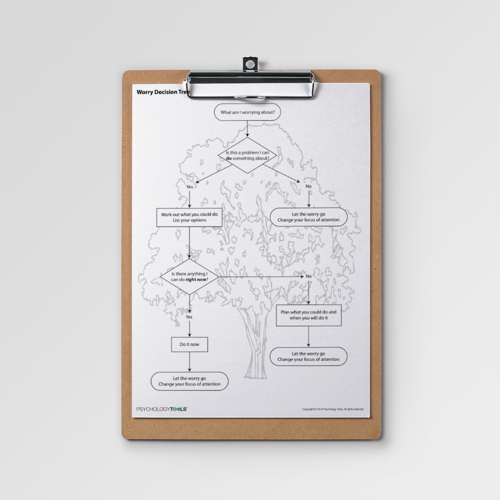 This Worry Decision Tree worksheet provides a step-by-step process map for your clients to aid effective reactions to worry. Worry is a cognitive process which sometimes has benefits – but too much of a good thing can result in enjoyment-sapping anxiety. Worry is a pernicious process which can easily get out-of-hand and take on a life of its own – we can even end up worrying about worrying. One helpful rule when learning to manage worry is that worry which leads to action is useful but all other forms of worry are unhelpful. 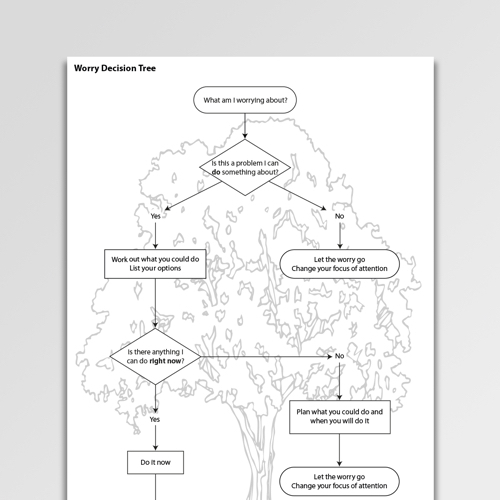 The Worry Decision Tree is adapted from a tool developed by Butler & Hope (1995). 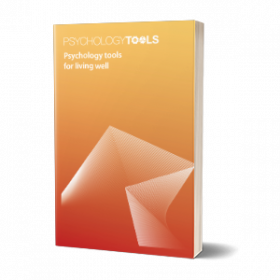 It is designed to help clients identify whether a worry can be acted on (and, if so, to act on it), or else to shift their focus of attention to something more adaptive. 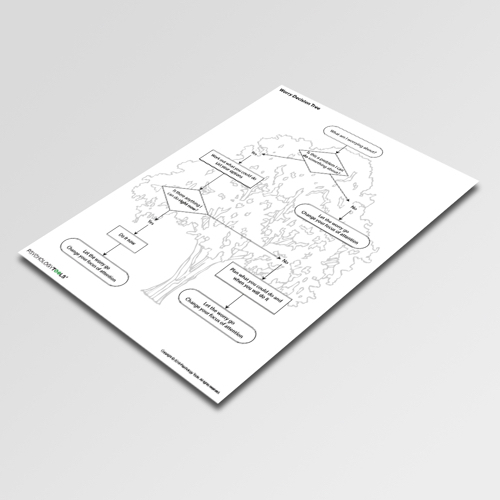 The Pro version of this worksheet contains additional annotations to assist clients. Clients should be trained to manage their worries by following the flow diagram on the worksheet. The initial step is to notice that worry is occurring. The next step is to identify wehther this is a worry about which something can be done / action can be taken, or whether it is not possible to act. If action is not possible the worry is to be set aside and attention focused elsewhere. If action is possible it must be determined whether this can happen immediately (in which case it is to be actioned immediately), or whether it can happen at some time in the future in which case specific plans are made before the worry is set aside and attention focused elsewhere. Butler, G., Hope, T. (1995). Manage your mind. Oxford: Oxford University Press.